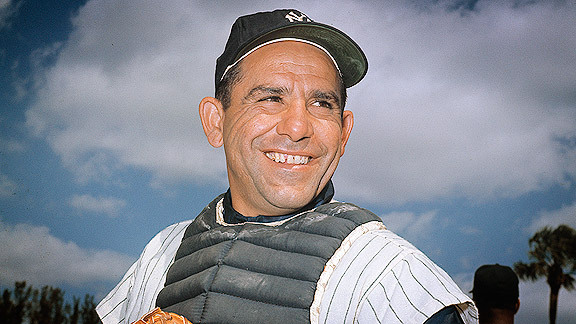 He was the backbone of many great Yankees teams (a 10-time World Series winner) during his 18-year run in the Bronx, and was the American League MVP in three of those seasons (1951, '54 and '55). Widely known for his quotes (called "Yogi-isms") over the years, many of which didn't involve baseball: "If you come to a fork in the road, take it." "I usually take a two-hour nap, from one o'clock to four."